For out-of-hours calls, if you telephone any of the four surgery sites you will be given the number to ring for help. 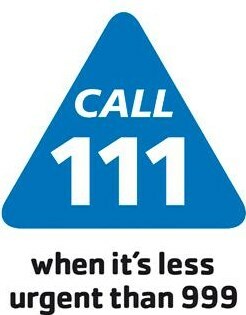 At most times this will be the number for NHS 111 - please dial 111 from your handset. Call 999 in an emergency. Chest pains and / or shortness of breath constitute an emergency. Signs of a stroke also constitute an emergency.